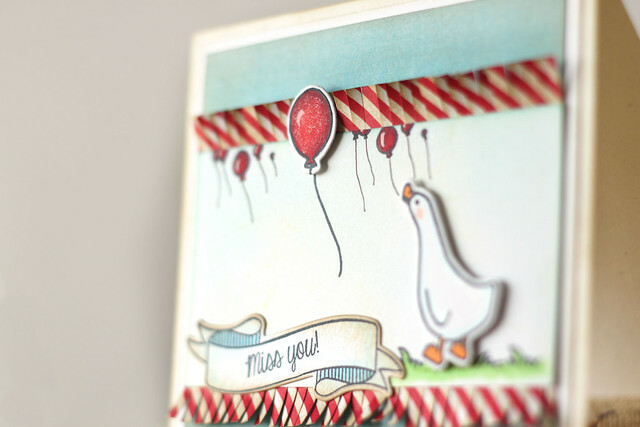 I had so much fun playing with Avery Elle's new Storybook stamp set that I created another card. Or maybe I'm just avoiding thoughts of icing Maia's rainbow cake. ha. I used Storybook, Build a Banner, and Thanks a Bunch to create this card. The only balloon included in Storybook is the bigger one, but the bubbles image made for a perfect bunch of balloons, floating farther in the distance. I drew the balloon tails using a 0.3 copic multiliner pen, and added highlights using a white gel pen. 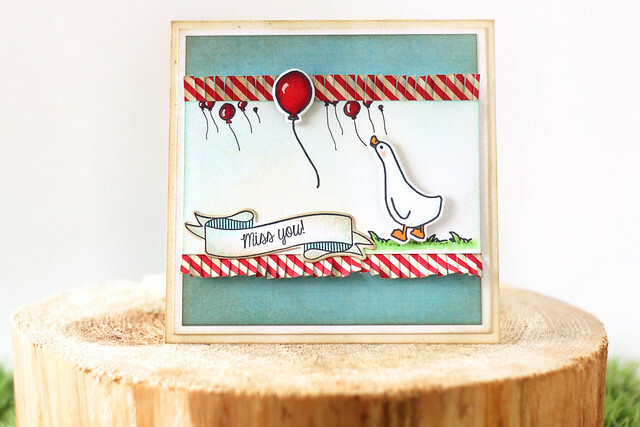 I couldn't resist adding some glitter to the balloon and the duck. Now, back to rainbows. Maia turns 4 today, and has had her heart set on a rainbow party for the last few months. 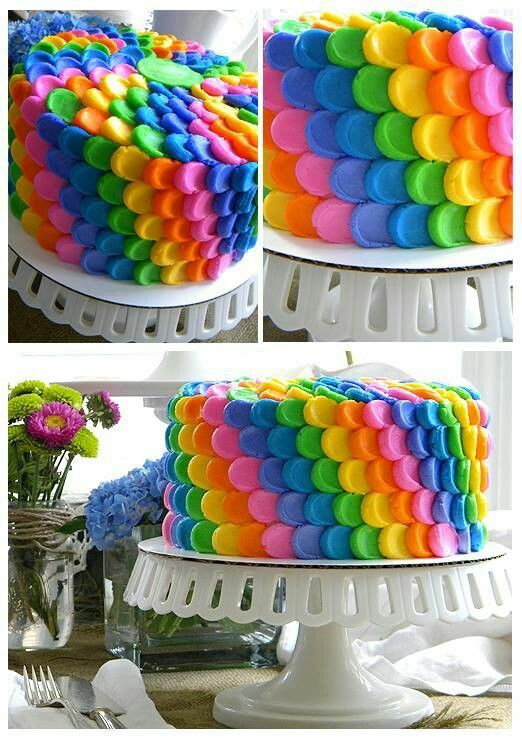 Together, we found this cake on pinterest. eeek. 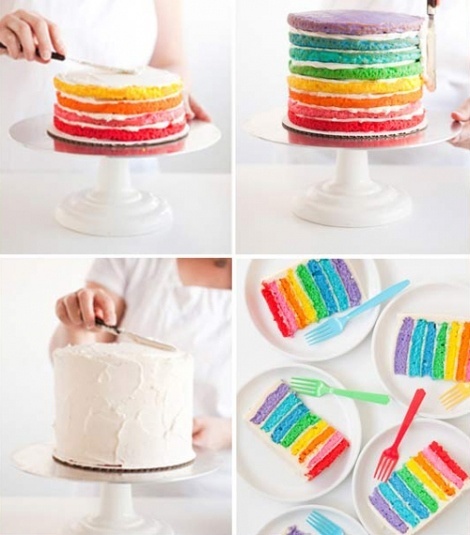 I kept trying to steer her towards this kind of rainbow cake instead, but she wouldn't budge. Wish me luck! I'm so much more comfortable with paper than frosting! Such a cute card! I love the fringe and those balloons in the back/front! And I agree with you on the cake.... I'm sure whatever you make will turn out fabulous! That rainbow frosting cake is insane!!!! Happy birthday to your girl! I love your card!